I get so excited to put away the books from one season or holiday and bring out the books for the next. And while I staunchly refuse to put up a single Christmas decoration (or unpack the box of Christmas pop-up books) until the day AFTER Thanksgiving – I’m willing to give a little leeway in my fall-to-winter turnover. There’s a point where fall gives up. Overnight, it changes from crisp-aired, brightly colored, crunchy-leaved wholesomeness into chill, damp, murky blahsville. That’s when I’m ready to forget fall. I dive, instead, into the dream of a white winter – and pull out wintery favorites about snowmen, mittens, and wild toboggan rides. This year, I’ve gone beyond the classic favorites and gathered up a particularly fine selection of NEWLY RELEASED winter-themed picture books. 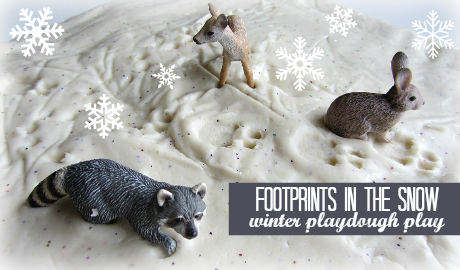 I’ve paired each to a project that teachers, librarians or room parents could easily use as an extension activity as a lesson or as part of a winter party. 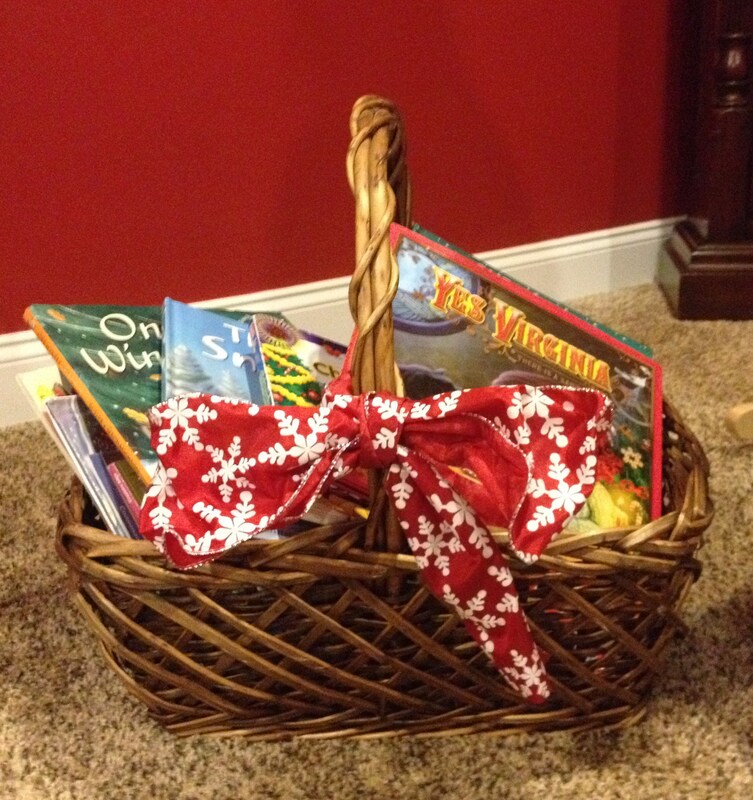 Winter-themed read-alouds are absolutely perfect for classroom parties, as they manage to invoke many of the special things about the season while appealing to kids of all religious denominations and backgrounds. You’ll want to Pin this selection for your next classroom celebration. Any of these books would also make a great holiday gift or wintery bedtime story. Kids will adore this brand-new fractured fairy-tale by the author of such wonderful children’s books as THE MONSTORE and I THOUGHT THIS WAS A BEAR BOOK. Little Red wore out her ice-skates and wants to win a new pair – but she needs a partner to skate with her in the big competition. The other fairy-tale characters seem to have found partners already, all except for one big, bad fellow. 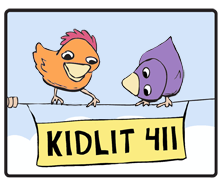 The prose is full of alliteration and humor, the illustrations packed with cheer, motion, and sherbet-colored details. LITTLE RED is bound to become a favorite winter book (and fairy tale re -telling) for the pre-school to second grade crowd. After reading, what could be more fun than making this ICE SKATING craft? Kids could design any character they like from the book or make up their own! 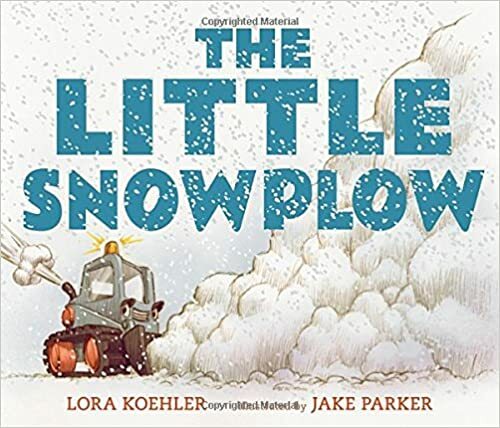 For kids who love KATIE AND THE BIG SNOW or GOODNIGHT, GOODNIGHT,CONSTRUCTION SITE, I can think of no better winter book than THE LITTLE SNOWPLOW. In a fantastic, fun-to-read story, the littlest snowplow manages to get through where bigger, tougher machines cannot – and by being small, he saves the day. Follow up this read-aloud with these snowplows for a seriously snowy craft project! It takes a special cat to dream up a Snow White “tail” like this one – but Skippyjon Jones is not your average kitty-boy. The amazing Judy Schachner brings her trademark bilingual voice, catchy rhythm and unexpected rhymes to a winter book that will have your kids rolling in laughter and as our mini hero and his band of Chihuahua friends rescue a sleeping princess, encased in a block of ice and guarded by a fire-breathing dragon! Your kids can be just like Skippyjon Jones, and rescue a princess (or any plastic toy!) from a block of ice! Check out this Frozen Gelatin Excavation Activity from Fun At Home With Kids!. Follow up THE THING ABOUT YETIS with this craft. OK, it says “fuzzy ghosts” on the website- but you and I know these are the cutest yetis ever. You could get easily use stick-on felt or craft foam pieces to let kids customize them! It’s impossible to ignore this incredible non-fiction picture book. 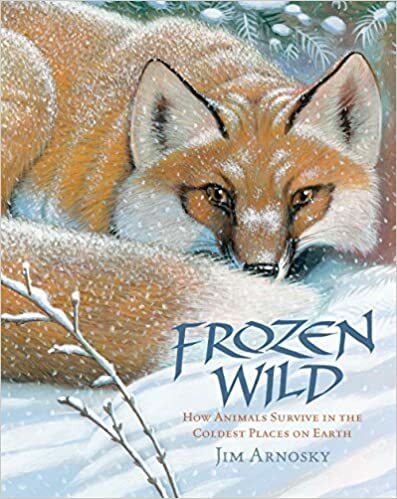 Award-winning author-illustrator and naturalist Jim Arnosky takes kids on an adventure they’ll never forget, tracking wild creatures through harsh and frozen environments. Readers encounter otters, beavers, moose, polar bears, killer whales, penguins, fur seals, and other creatures. The stunning art includes five foldouts that reveal worlds under the ice and at the farthest, frostiest reaches of the globe. 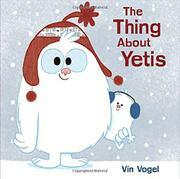 *Full disclosure: I received a promotional copy of THE THING ABOUT YETIS from Penguin Young Readers. Thank you for including the Fuzzy Ghosts — or Yetis, from CraftsnCoffee.com. They do indeed look like Yetis! Happy crafting & reading! Sharon, I adore them! Your site has such a great bunch of crafts and activities. So happy I found you! What a great list, Lauri! Thank you for sharing more wonderful titles. I really do think I may like books about snow more than I like the real thing. What a lovely wintery book list! Thank you! So glad you dropped by. Welcome!, Hope everthing is going well there! I love the craft ideas that accompany the books! So cute and clever. Great books, Katey! Love the crafts too. Thanks for stopping by, Tracey!